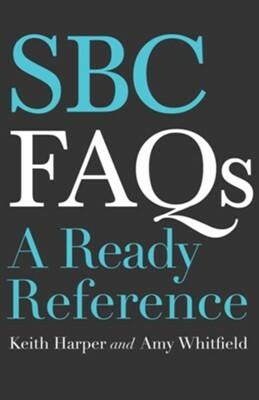 SBC FAQs provides a general overview of the Southern Baptist Convention in the format of frequently asked questions. Covering details of basic history, polity structure, entity functions and more, this ready reference seeks to answer the most common inquiries about how America’s largest Protestant denomination functions. The topics range from the founding of the SBC to how officers and committees work, what individual entities do, movements in modern denominational history, common terminology, and more. 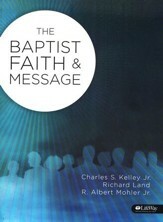 It is designed for first-time messengers and longtime messengers to the SBC Annual Meeting, as well as students, church members, and those in full-time ministry. 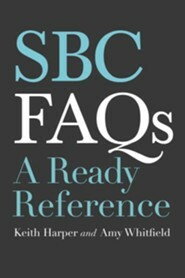 Whether one is new to the denominational family and wants to learn the big picture or a lifelong Southern Baptist who wants to refresh his or her knowledge about a specific detail, SBC FAQs offers clear and concise explanations. Cooperation begins with an informed commitment to participation. This resource will not only help readers find information but also inspire them to find their place in the process. Jason G. Duesing(Eds. ), Thomas White(Eds. & Malcolm B. Yarnell, III(Eds. Keith Harper is Senior Professor of Baptist Studies at Southeastern Baptist Theological Seminary in Wake Forest, NC. Amy Whitfield is Director of Communications at Southeastern Baptist Theological Seminary in Wake Forest, NC. "I love the SBC. Ive studied how she functions since I was a child. I recognize that understanding the SBC can be confusing. Keith Harper and Amy Whitfield have done a great service by making the SBC easy to understand for those who want to learn more. You should take advantage of this easy-to-read volume and enjoy!" 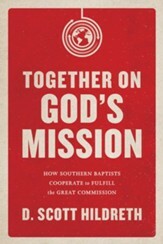 "The Southern Baptist Convention was founded for the sake of the Great Commission. It has always existed to facilitate churches reaching the nations for Christ. Harper and Whitfields new resource provides background to our conventions history and vision, helping us engage in the mission with our heads, our hands, and our hearts. The question and answer format makes it an easy, readable, and engaging resource. Every member of the SBC needs to have this at their side." 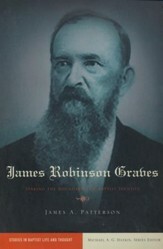 "This book is a must read for any person that desires to know who Southern Baptists are. 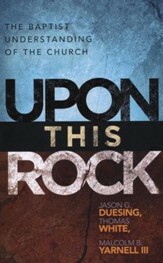 Its written with knowledge and passion about a denomination that exists to be a difference maker." "Keith Harper and Amy Whitfield know Southern Baptists. They are Southern Baptists. They know us on paper and in real interaction. You can trust their answers." I'm the author/artist and I want to review SBC FAQs: A Ready Reference.